Sofia Lettenbichler holds a M.Sc. in Political Science and Public Administration from Leiden University, a B.A. in Political Science from Innsbruck University and a diploma in English and American Studies. 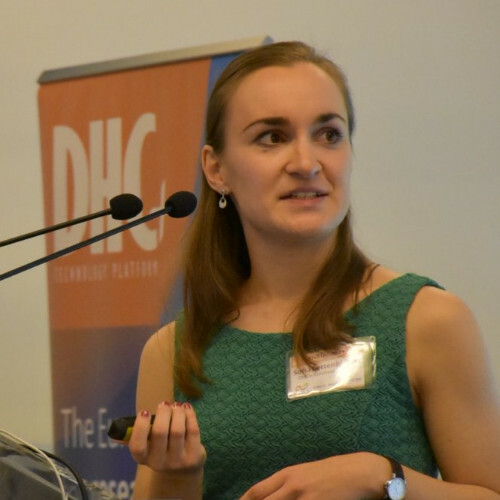 Sofia Lettenbichler works at the DHC+ Technology Platform c/o Euroheat & Power since 2016 and leads the workstreams on sustainable smart cities and digitalisation and represents the city network CELSIUS in Brussels. Additionally, she coordinates DHC+’s contribution to the RHC-ETIP. Combining her passion for policy, sustainability, and innovation, she supports cities in their move towards a sustainable energy system. Her previous experience includes advocacy and policy work in digital technology, as well as the energy & environment sectors. She has worked on EU-funded projects in the fields of ICT, energy, environment and international cooperation and completed a Blue Book Traineeship at the European Commission’s DG Connect.